NABO is hosting this year's International Mus Tournament of Basque Communities August 25-September 3, 2017 in both San Francisco and Chino. Eleven teams from nine different countries: Argentina, Canada, Chile, Euskadi, France, Mexico, Uruguay, the US and Venezuela will be attending event to vie for the title of International Mus Champions. The festivities will begin in San Francisco in conjunction with the San Francisco Basque Cultural Center's Jaialdia, and will continue on to Chino, CA to coincide with the Chino Basque Club's annual picnic. If you are wondering about the odd number of teams, last year's champion, Euskadi, won the right to bring two teams, and the hosting country also gets two. This year NABO will be represented by the 2017 first and second place teams at our tournament, Andres Lejardi and Gregorio Undabeitia from the Txoko Ona Basque Club in Homedale, ID, and Amador Zabalbeazcoa and Victor Albiztur from the Los Banos Basque Club. The week isn't all about Mus; players and their companions will also be given ample opportunity to visit both cities, as well as attractions surrounding both. For a better idea of what they will be up to, click here. Ongi etorri deneri, eta sorte on! The San Francisco Basque Cultural Center is hosting its annual Jaialdia this weekend, August 25-27th. 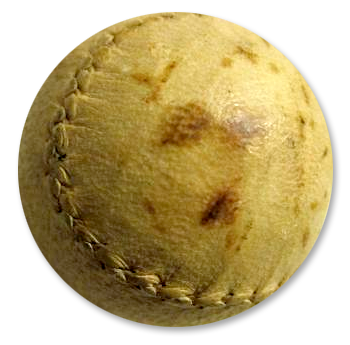 Festivities will begin on Friday at 6pm with a reception for the International Mus Players, followed by dinner. On Saturday, Dr. Xabier Irujo, Director of the Center for Basque Studies, will present his book Gernika 1937: The Market Day Massacre at 3pm followed by pilota matches with local players at 5pm. After pilota there will be dinner and a public dance to the music of Holakiki from the Basque Country. Sunday will begin with mass at 10am, celebrated by Aita Lastiri, followed by BBQ rack of lamb lunch and more pilota. For complete information, including how to RSVP and pricing, click here. The NABO Pilota Finals will take place on Saturday, September 2nd at the Aphessetche Trinketa (7262 Bickmore Avenue), in conjunction with Chino's Basque Club picnic. The games will feature adult and youth players from Bakersfield, Boise, Chino, and San Francisco, with play beginning at 9am. A complete schedule of events is available here. After the tournament the action will move to the Chino Basque Club (15181 Sierra Bonita Lane) with cocktails beginning at 6pm. On Saturday, there will also be an opportunity to learn more about Xare at a workshop that will also take place during the pilota finals. The workshop is open to all ages. For more information, please contact NABO Pilota Chair Teresa Iparraguirre. 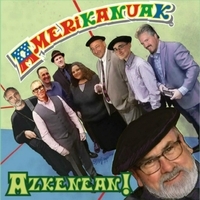 The music group, Amerikanuak, will hold a launch party on September 1, 2017 at the Noriega Hotel in Bakersfield, CA to celebrate its new CD "Azkenean." The event will begin at 6pm with no-host cocktails, followed by a no-host dinner. Reservations are a must, so please call: (661) 322-8419. Everybody is invited to join the celebration so you can still join the party, even if you don't want dinner, or are too late to make reservations. The CD will be debuted for most of the night, but there may also be some live music. The CD is available for download at CDbaby.com, and instructions on how to buy a hard copy will be available on their website, Amerikanuak.com, and on their Facebook page. After all expenses to make the CD are covered, 100% of the profits will be donated to NABO's Aita Tillous Fund to help families send their children to NABO youth events. On behalf of everyone at NABO we would like to thank the group for its generosity and congratulate you on this great project! Biba ziek!